Lauren Rebecca: Baby Boy's Nursery Start. 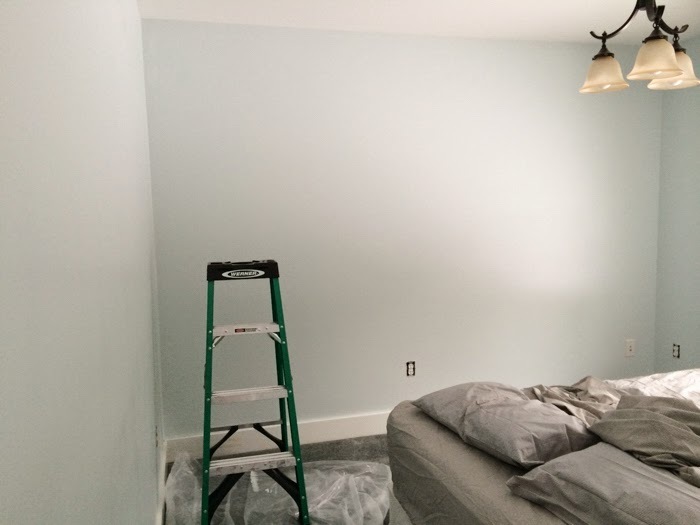 Baby Boy's nursery started out as a peach guest room. 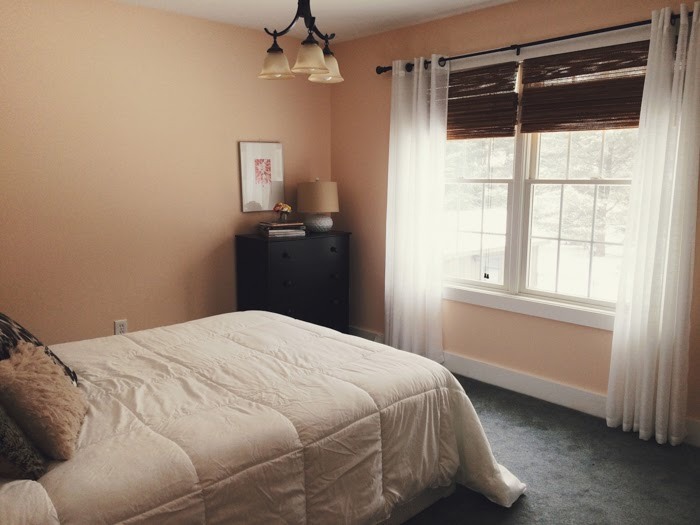 We never really finished the guest room so it was kind of an easy transition. Obviously, the peach wasn't going to work. 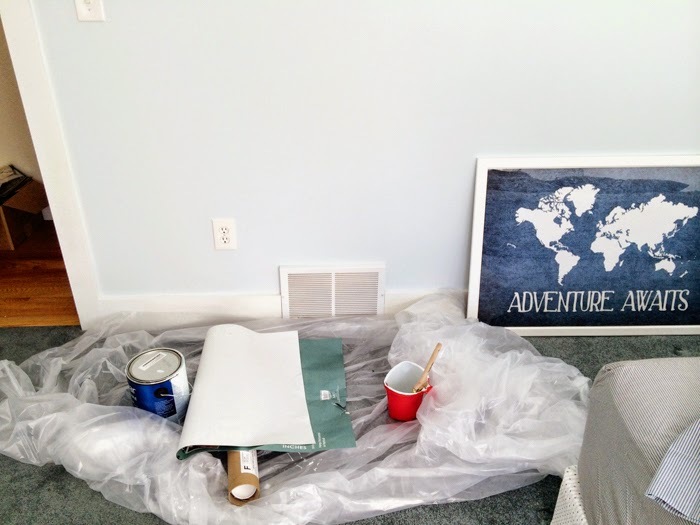 I started thinking about what I wanted the baby's room to be like as soon as I found out we were having a boy. Originally I was going to have Scarlett and baby share a room but now that we have a girl and a boy, I decided to give them each their own. 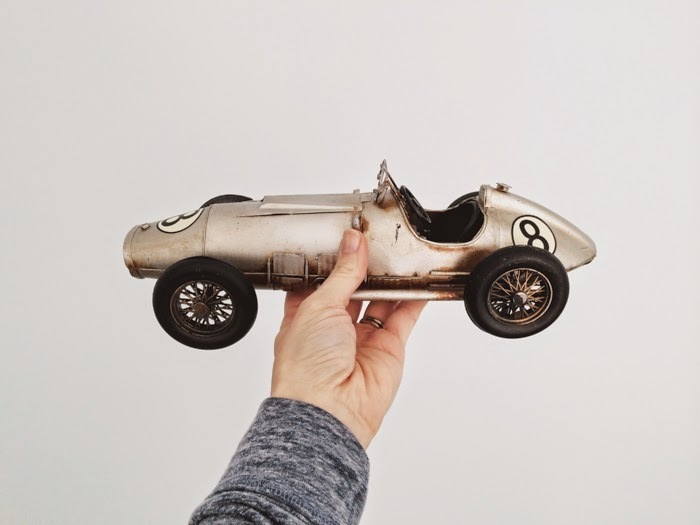 Of course, being a lover of all things vintage, I wanted to add some vintage to his room but still keep it a bit modern. I love so many styles that I usually find that I'm attracted to the eclectic style. A mix of everything. So I started a mood board. I wanted to have some cute vintage accents and then bring in some modern furniture. 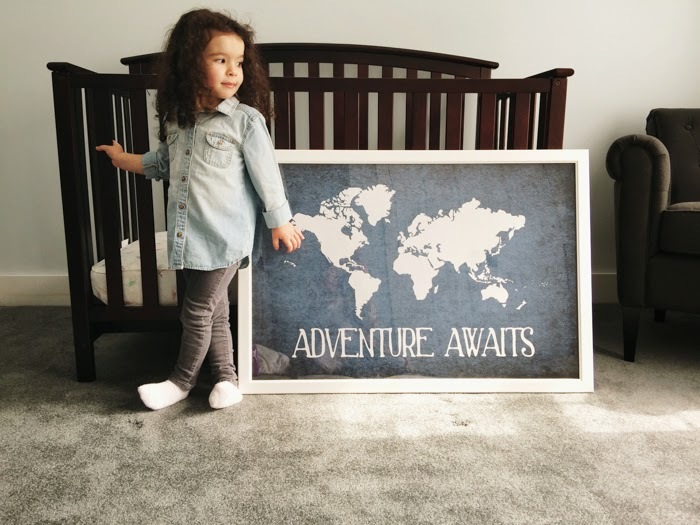 I found the cutest sign on Etsy that described exactly what I wanted his room to say: "Adventure Awaits" It kind of became my inspiration for the whole room. I also started looking for hints of metal and wood to add more of a masculine feel to it. It got painted a lovely shade of pale, with a hint of grey, blue. It's called Sweet Slumber by Valspar. It looked pretty blue going on but dried a nice pale shade. I love Valspar because I only have to use, literally, one coat and touch up corners a little. Valspar also makes a type that contains zero VOC's and is low odor. 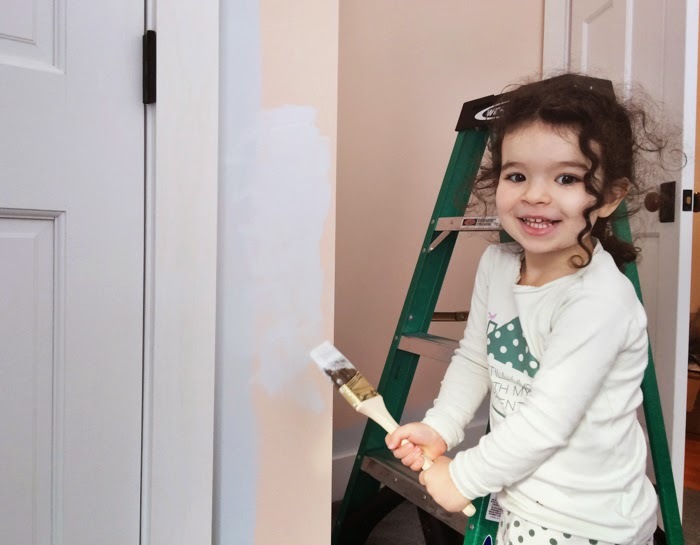 My older sister came over and helped Scarlett and I paint. It took all of but an hour and 1/2. We are kind of expert painters ;) Ty put the crib together and now the delivery game starts. I ordered most of the items to be shipped to our house so little by little, sweet packages keep arriving for Baby Boy's Room. I'm still working on this room but here's some hints to what it will look like. Scarlett goes into this room often and arranges his toys, looks around in curiosity and asks when he will be here. Makes me smile. She's the sweetest. This process has been really fun for me. I'm enjoying sharing the excitement with Scarlett. Haha...well I've moved so many times in the last 5 years that I've become a pro. That's cute! I was looking for toddler bed for boys.. This is giving me a little idea... Thanks. 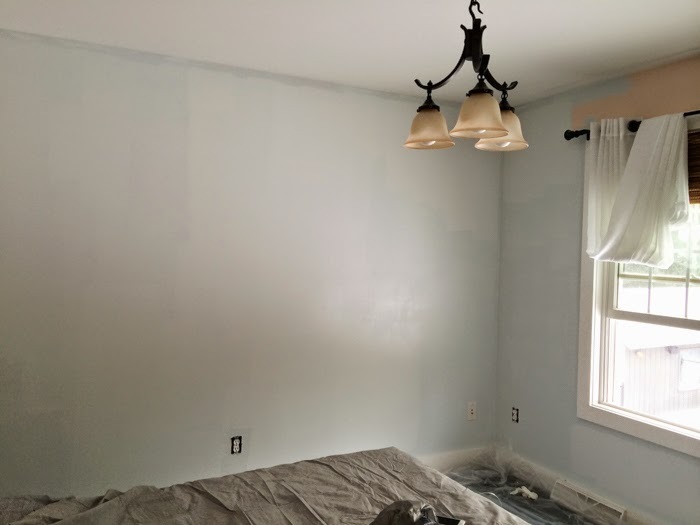 So amazing to see you are painting your room in person. So sweet!